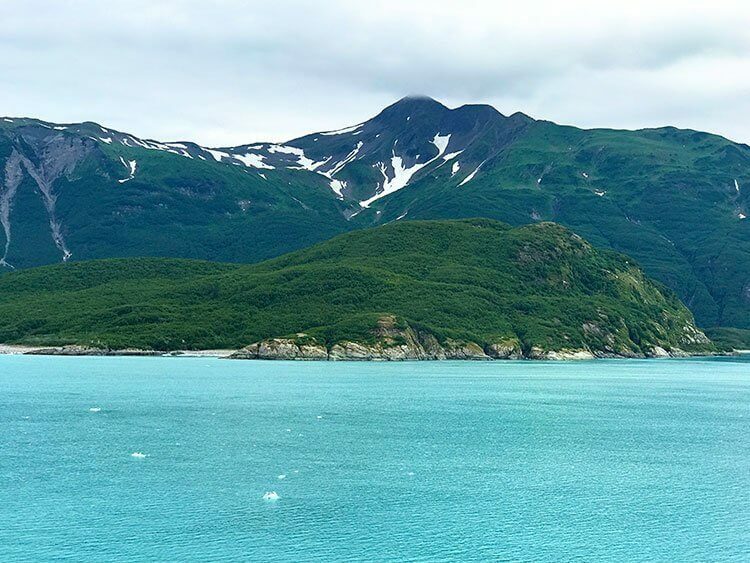 What is an Alaskan Cruise Really Like? It’s not like what Mike and I experienced, no word of a lie. I can’t lie to you and pretend that our trip was the norm. We had prepared for rainy, chilly weather. We bought new raincoats off of Amazon, we bought new rubber duck shoes (or whatever the heck they are called, they are duck boots? Shoes?) and we made sure that we packed umbrellas. We had looked online, read the cruise forums and did our research. We hadn’t even taken an Alaskan cruise before so we were prepared for the rainy days that were most likely going to happen on the trip. It was sunny the entire trip. Not one rainy day. In fact, it was quite hot when we were in Sitka, one of the hottest days they had had all year so far. 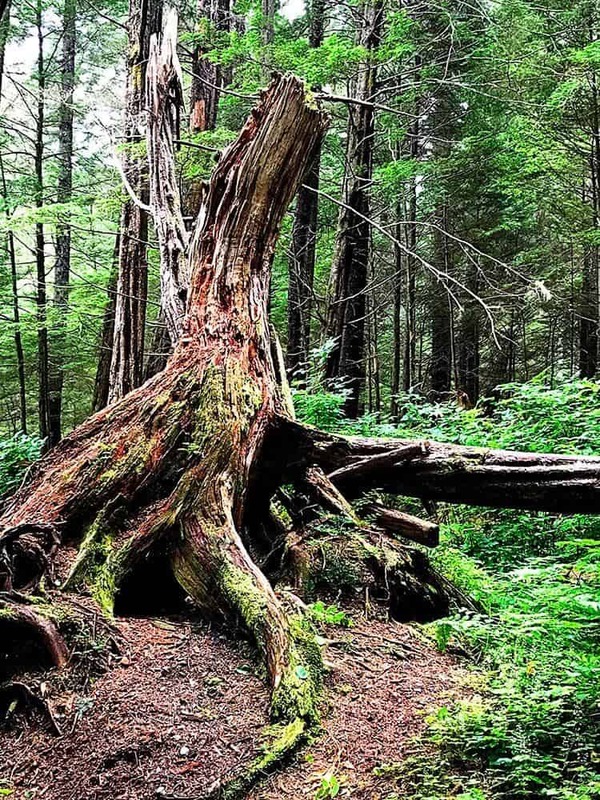 We had worn layers when walking to the Sitka National Historic Park and we were in t-shirts by the time we hit the totem walk in the forest. 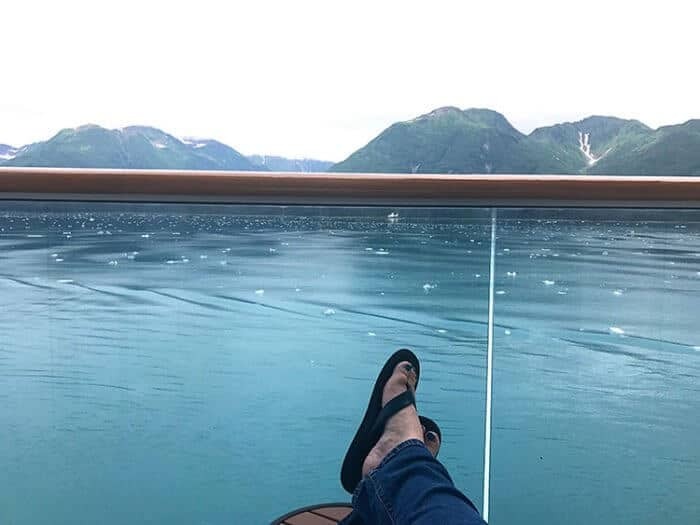 So first, Alaskan cruises are normally chillier and rainy than what we experienced. That doesn’t really matter in my opinion because Alaskan cruises are filled with spectacular beauty. Sitka was one of the most gorgeous places I have ever been to. The National Forest was breathtaking and not to be missed. 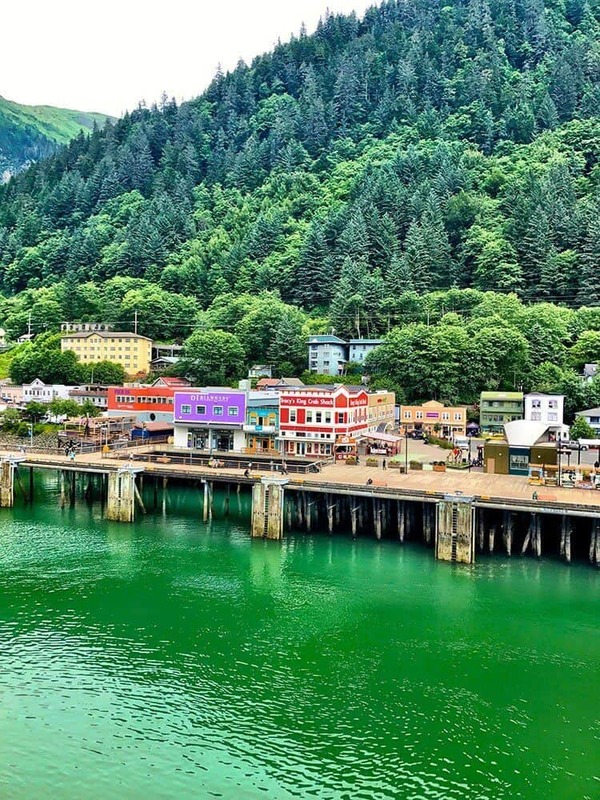 Every port you are at on an Alaskan cruise is candy for the eyes but Juneau will steal your heart as soon as you see her. This is a sight that you will only see if you come in by air or by sea, making it a pretty special thing indeed as there are no roads into Juneau. Leaving the ports in the early evening is just as gorgeous. 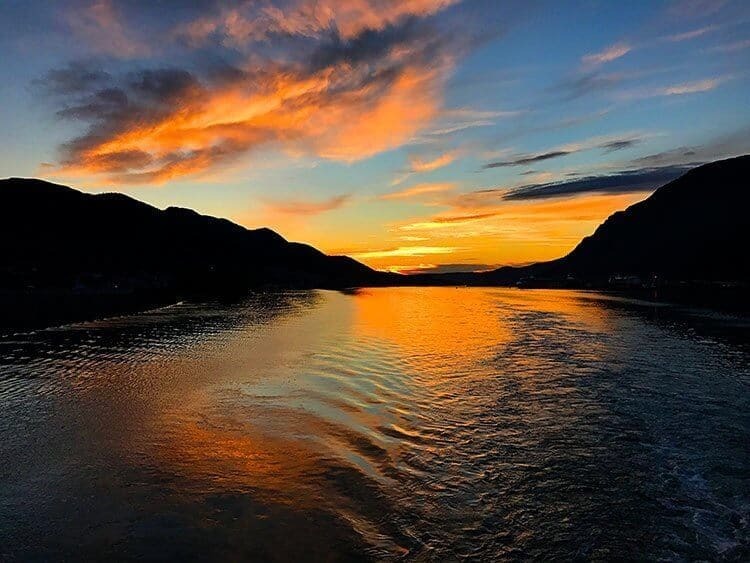 Alaska has some of the most stunning sunsets I have ever seen on a cruise – and I am a fanatic when it comes to sunsets on the water. I have more sunset photos on my phone than cruise food, I swear! The light is so beautiful that you want to be outside on the ship all the time. This was about 30 minutes after we left Juneau. We just stayed at the stern of the ship watching Juneau fade into the distance and the sun set, one of the most spectacular I have ever seen. 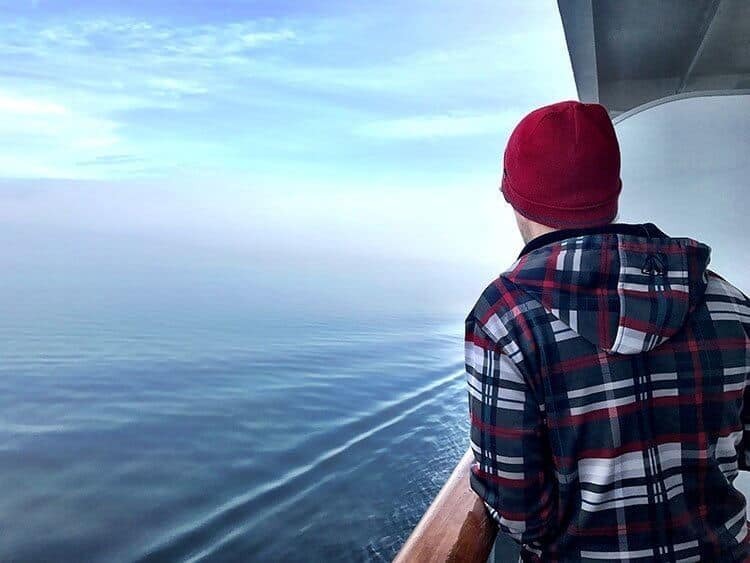 After taking an Alaskan cruise I now understand why people take more than one – indeed, a lot of long time cruisers have told me that Alaskan cruises are their favourite. The scenery is unparalleled in it’s beauty. I’ve been on West and East Caribbean cruises, Mexico and two Transatlantic cruises, one that did Europe. 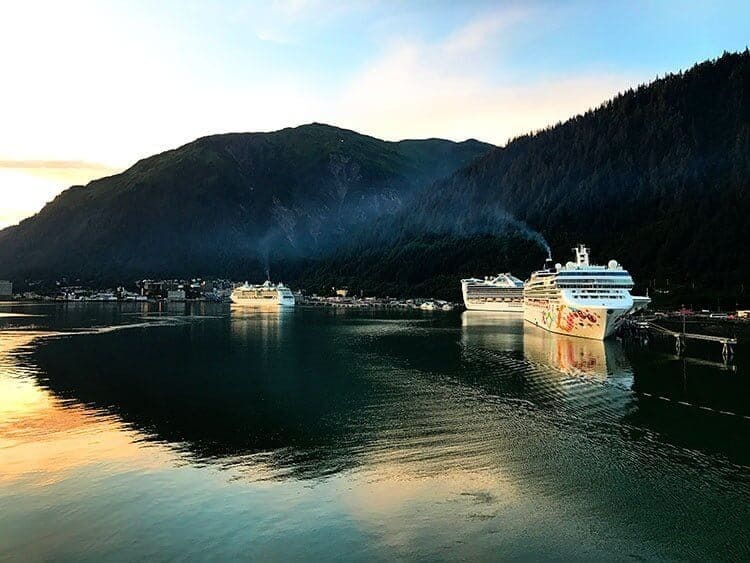 Alaskan cruises blow them all out of the water scenery wise. The only thing that would make it better is a Disney Alaskan cruise, which is top of my wish list now to take with the kids in a couple of years before they get too old. 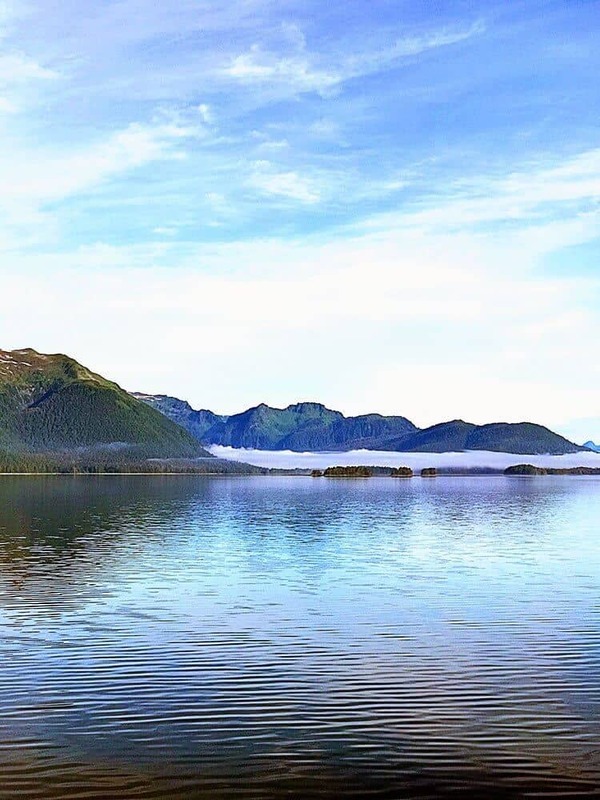 Not only is the scenery spectacular while on the water, Alaska in the summer is as gorgeous as you have heard. Everything is so green and vibrant, as if Mother Nature is trying to apologize for the long, hard winters that Alaska is also famous for. If you love seafood, this is the cruise for you. I searched out the best seafood in each port. Juneau was Tracey’s King Crab Shack, hands down. Sitka has the best rockfish fish & chips you’ve ever tasted at the Bayview Pub. I will warn you, it’s $24 US, so it’s pricey but if you are a seafood lover, you simply MUST try them. 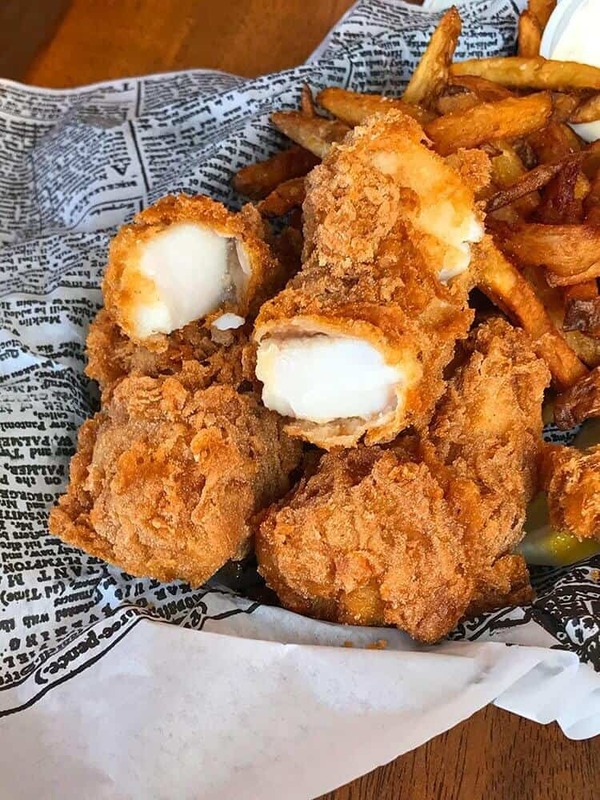 Once you’ve had rockfish fish & chips you are also ruined forever for any lesser type of fish. You also need to bring toques and warm clothes for glacier viewing. 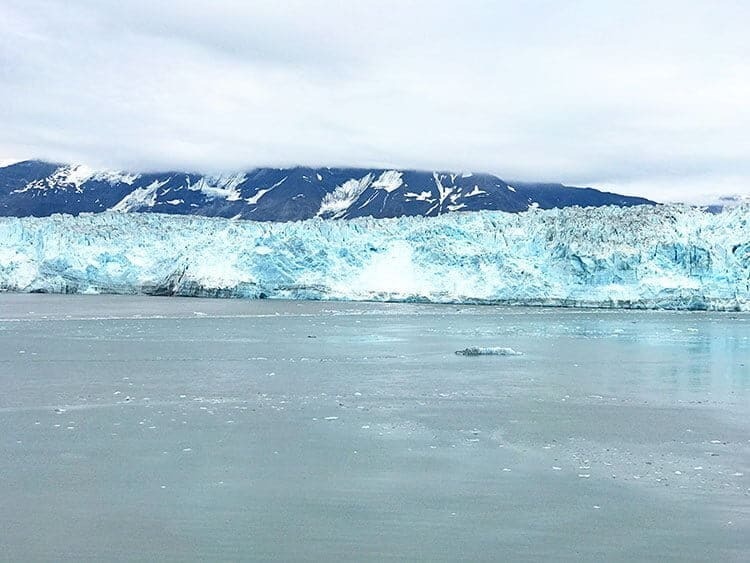 It gets incredibly frosty when you are around the glacier no matter how warm the weather has been on your cruise. To fully appreciate the beauty you have to stand outside on the deck. Usually the captain will slowly turn the ship so that people can see the glacier from their balconies on both sides of the ship. This was approaching the glacier, Mike and I were bundled right up! This is the Hubbard Glacier. Whether or not you get close all depends on how many ice floes there are in the water that day. Sometimes ships can’t get that close, so be prepared for that eventuality. The really neat thing is that you get a Park Ranger on the ship with you and he tells you all about it on the loudspeaker, or at least we did on our cruise. This is what we did a lot of the time. We read, relaxed and watched the endless beautiful scenery. We saw more whales than I can count and it was the most relaxing cruise that we have been on even though it had a LOT of port days. 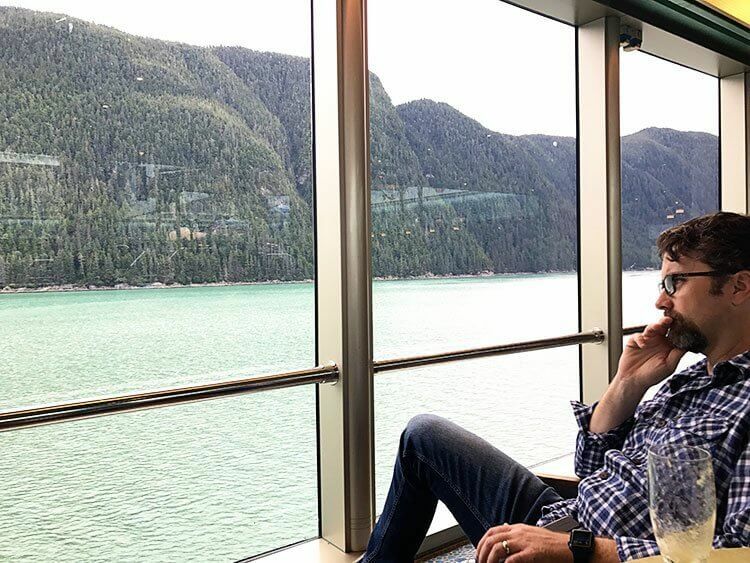 You are definitely kept hopping on Alaskan cruises, especially on the 7 day one we took. I prefer a few more at sea days but that’s when you get into 10 day cruises. We had two days at the beginning, then you did Juneau, Sitka, Ketchikan and then Victoria all in a row. That’s four days of disembarking and doing stuff. We did get off at each port, but only did the Bering Sea Crab Fisherman’s Tour as a formal excursion. We would explore on our own and then head back early. 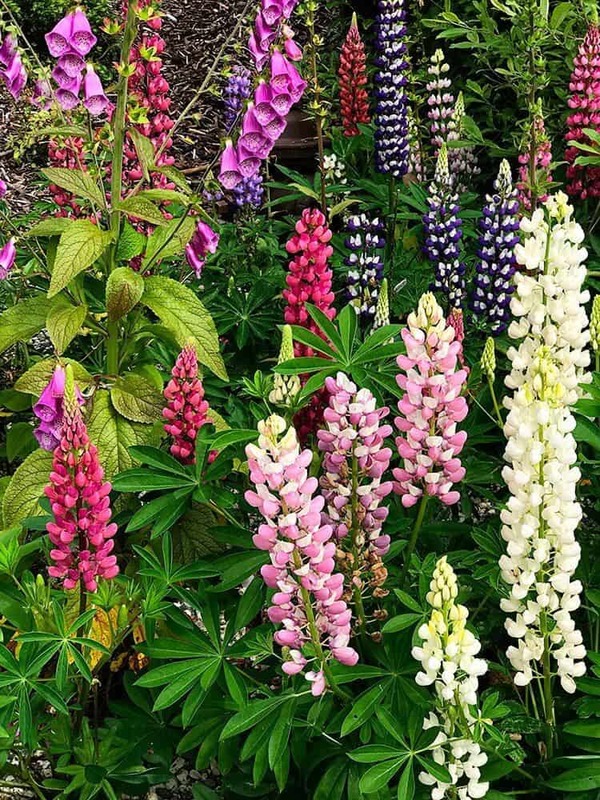 The other great thing about all the Alaskan ports is that there is a lot to do and explore right off the pier, you don’t have to do all of the shore excursions. We are taking the kids this coming summer and can’t wait! Now, I am sure that I missed something so please ask in the comments below and I will try to answer! To read about the exact cruise we took head read my post Our Alaskan Explorer Cruise on Holland America ms Oosterdam. You can take a look at the balcony room that we had and a few more details about the cruise.